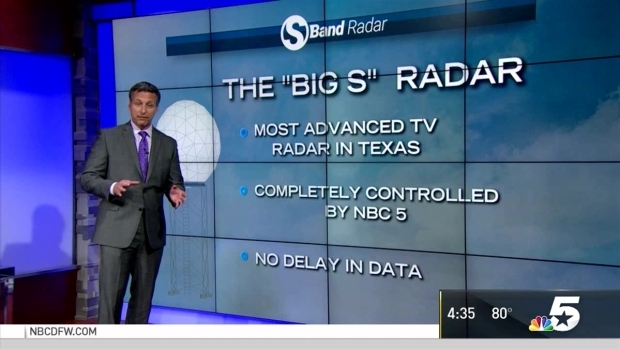 The NBC 5 S-band Radar is now online. 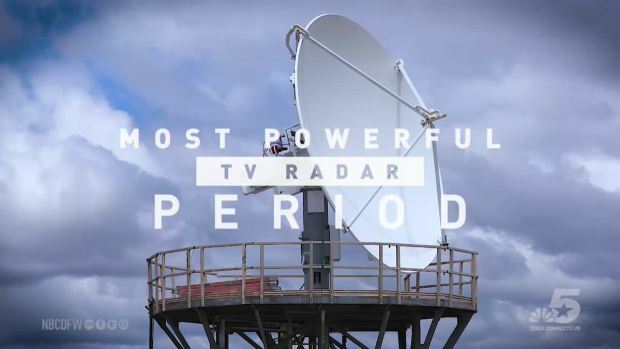 What Is An S-Band Radar? NBC 5 Meteorologist Rick Mitchell explains the science behind the S-band radar, NBC 5's state-of-the-art weather tool that makes its debut Monday, Nov. 14. Traditionally television radars were only allowed to operate on the C-band, with the S-band only regulated for government and military use. However, the S-band has now been opened up for broadcast use. Because it is operating in the S-band, the radar signal will not be diminished by heavy rain, a problem common to C-band radars. 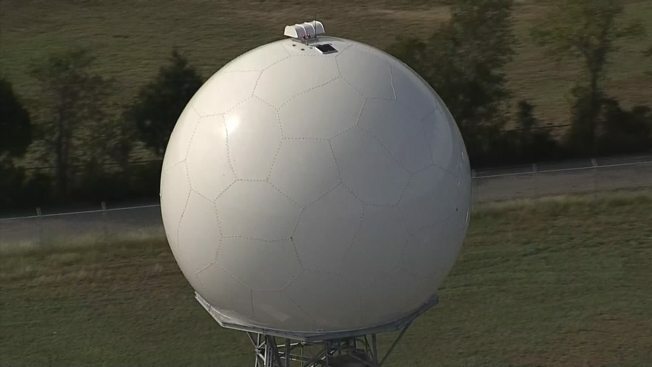 In addition, this radar is a dual-polarity radar. That means the signal is sent out both horizontally and vertically, allowing us to be able to differentiate between heavy rain and hail, or rain and snow, much more easily than before. Dual-polarity can also distinguish between rain and tornado debris. 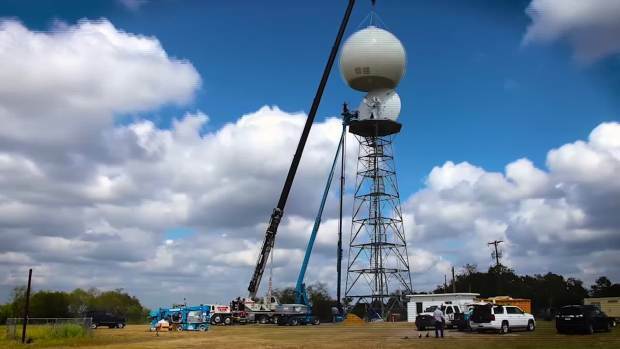 Finally, NBC 5 will be the only station in the state to have its own S-band radar that can be controlled solely by our meteorologists. Rick Mitchell shares how this new technology will provide the latest weather updates. This means if we want to focus strictly on one storm, we can direct the radar beam to constantly scan that storm for instantaneous information -- No more waiting up to six minutes for new radar data to come into the station from the National Weather Service radar.